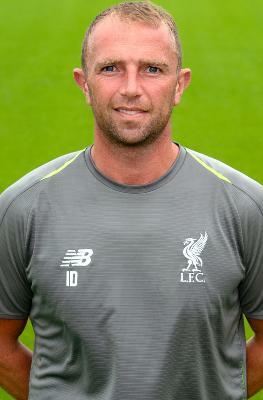 Ian Dunbavin is a former Liverpool youth team goalkeeper who now coaches the young stoppers at U9 to U16 level. He spent seven years at Liverpool before moving on to play professional football for Shrewsbury Town, Halifax Town, Chesterfield and Accrington Stanley. He returned to Liverpool’s academy on a part-time basis in 2014 and turned full-time in October 2016.